Find out how much event-goers spend in a typical night out — and where, exactly, all that cash is going. Bigger profits. Happier guests. Sounds great right? If you’re in the nightlife event industry, catering to party-goers’ spending habits is a win-win. From booze to late-night snacks, your guests are opening their wallets for more than just your event tickets — and you might as well be the one taking the cash. But what exactly are party-goers spending on? Check out part two of this study to find out how spending differs by genre and gender. If you’re in the nightlife events industry, your revenue comes from more than just ticket sales. You may have a bar, offer bottle service, or even sell food onsite. The more you can cater to party-goers’ spending habits, the more likely you are to turn a bigger profit. But what exactly are your guests spending on? 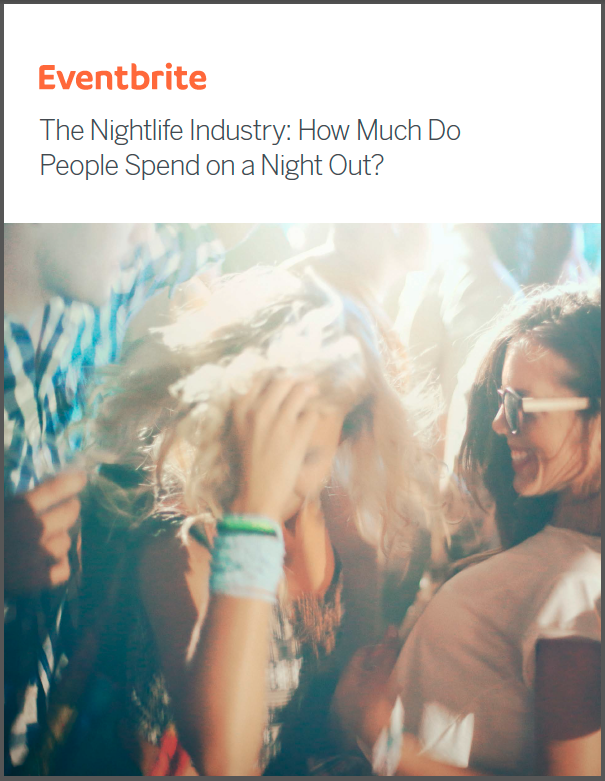 To help you find the answer, we uncovered how much an average nightlife enthusiast spends when they’re out and about — and where that cash is going. We analyzed data from our top six metros that go big after the sun goes down. And while most cities love their drinks and late-night snacks, we found that the ticket to an event eats up biggest proportion of event-goers’ cash. The average event-goer spends $81 on a night out, and goes out two nights a week. Tickets eat up the largest share of spend — and drive other nightlife event spending. While exact ticket spend varied city to city, tickets to nightlife events came out on top as taking the biggest share of wallet. Going to an event also spurs spending in all other categories of the nightlife industry. Just one more drink. Nightlife enthusiasts had three drinks in an average night, with 18% of people indulging in five or more drinks. Only 6% said they don’t have any drinks. After driving, ridesharing reigns in nearly every city. Ridesharing apps like Uber and Lyft ranked as one of the most popular ways to get around at night. They came in first in San Francisco and second in Los Angeles, Atlanta, Austin, and Chicago. New York was the only metro that ridesharing didn’t place in the top two, where taxis and trains dominate. Spend on late night snacks and transportation are nearly equal. Money spent on greasy favorites like pizza and fries nearly equaled spending on transportation to and from the event. Music is the most popular nightlife event category. In all six cities, music events were more popular than any other type of nightlife event. The average price of a music ticket, however, varied across metros.